Dolce Isola was within walking distance for Happy Meal and myself, and I noticed during my research for a decent slice of Key Lime Pie that they served up a burger. 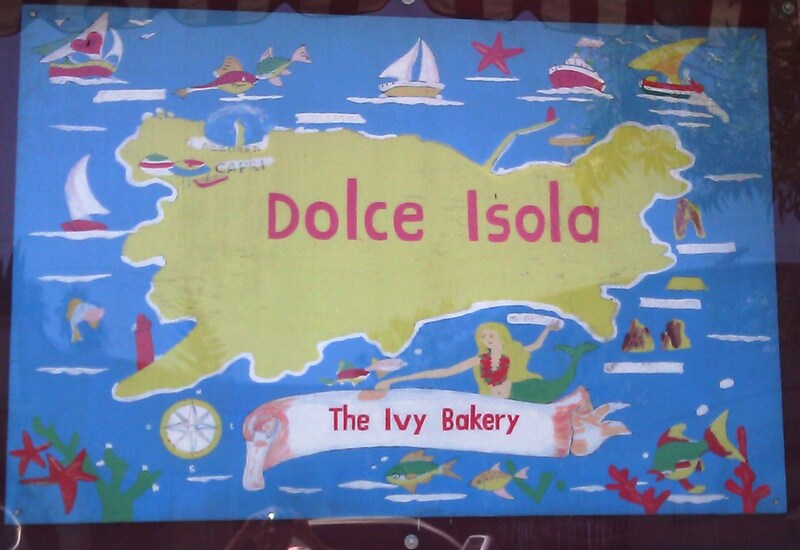 Dolce Isola was the bakery for the iconic Ivy restaurants in Los Angeles. There was ample, metered, street parking. Happy Meal and I were quickly seated by the friendly staff. The tables were tiny and seemed better suited for coffee and pastries rather than a sit-down meal. We ordered a couple of the India's Hamburgers ($11.75). 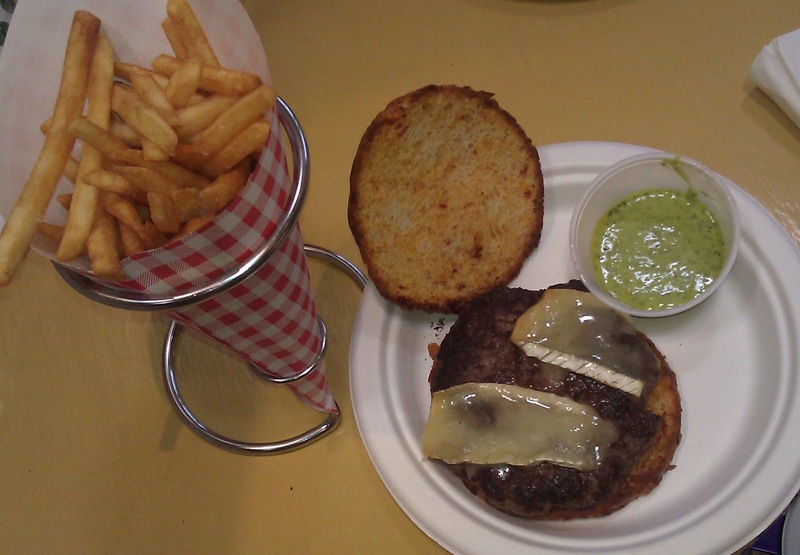 After a 20-minute wait, the first attempt at properly cooked burgers and fries arrived. The Beef: The beef at Dolce Isola was ground Sirloin from Niman Ranch. The beef was 100% Organic and Grass-Fed. On the initial attempt, my burger was cooked to Well-Done, but I had requested Med-Rare. I sent that cheeseburger back. On the second attempt, the beef was marvelous. The burger boasted strong notes of beef, a hint of aged funk, steaky minerality, and just enough blood to remind me that I was eating meat. The burger was downright juicy with a fat content of 20%. The mouth feel was moist and tender. The Seasoning: The kitchen at Dolce Isola hit the exterior with just enough salt and pepper to bring out the absolute best in the juicy, burger patty. 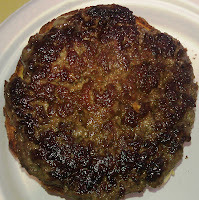 The Sear: My burger was seared nicely on a properly hot griddle. The sear was thorough, and it provided a crisp texture to showcase the juicy, tender interior of the burger patty. The Preparation: Dolce Isola took delivery of pre-ground, (coarse) Niman Ranch beef. The 8-ounce burger patties were formed by hand during morning prep. The burgers were cooked, and not pressed, on a very hot, gas-fired griddle. The Cheese: The only cheese choice was a French Brie. 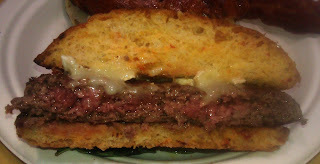 In true soft cheese fashion, the Brie melted away leaving only bitter rind atop my burger patty. Brie and/or Camembert are bleak choices for cheeseburger toppings. On the initial attempt the Brie was unmelted, but that was because the over-cooked burger had been allowed to cool...presumably as the first batch of fries were being over-cooked. Yikes. 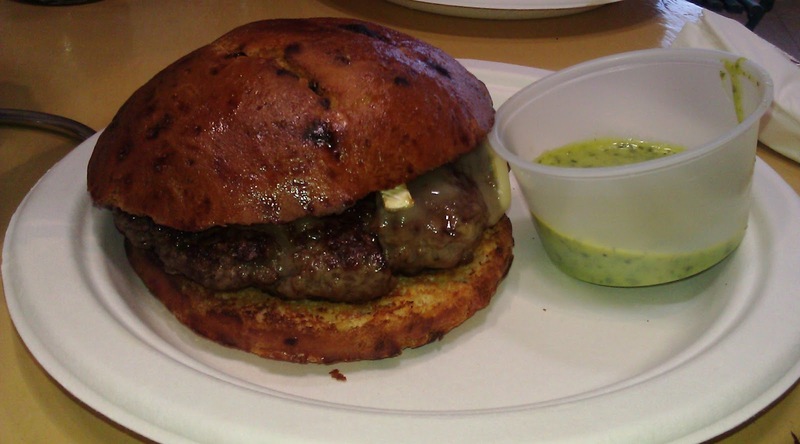 The Bun: Dolce Isola employed a house-baked, hearty, sun-dried tomato Brioche as the burger bun. The Brioche was fresh, moist, firm, and savory. The bun was properly toasted, and it provided crunch in every bite that involved the edges. The Meat To Bun Ratio: This was perfect. The bun held up to the very juicy patty with distinction. The Toppings: The Niman Ranch bacon was savory, smokey, and crisp. The fried basil was unduly oily...the kitchen had failed to blot it prior to assembling the cheeseburger. I was glad that I ordered this on the side. The creamy pesto was fine, but I did not put in on my burger. The Fries: The first attempt at fries yielded bitter, over-cooked sticks of sadness. It also resulted in a frustrating encounter with my server who argued that the fries were just fine. The manager set things right by replacing my order with a properly cooked order of fries and a Med-Rare cheeseburger. My server was in need of a hospitality refresher course...and so it goes. On the second attempt, the house-cut, peel-off, par-cooked, properly salted fries were perfect. They were crisp, hot, and savory. The Value: $11.75 for a half-pound, high-quality burger on a house-baked bun with hand-cut fries was right in the wheelhouse. 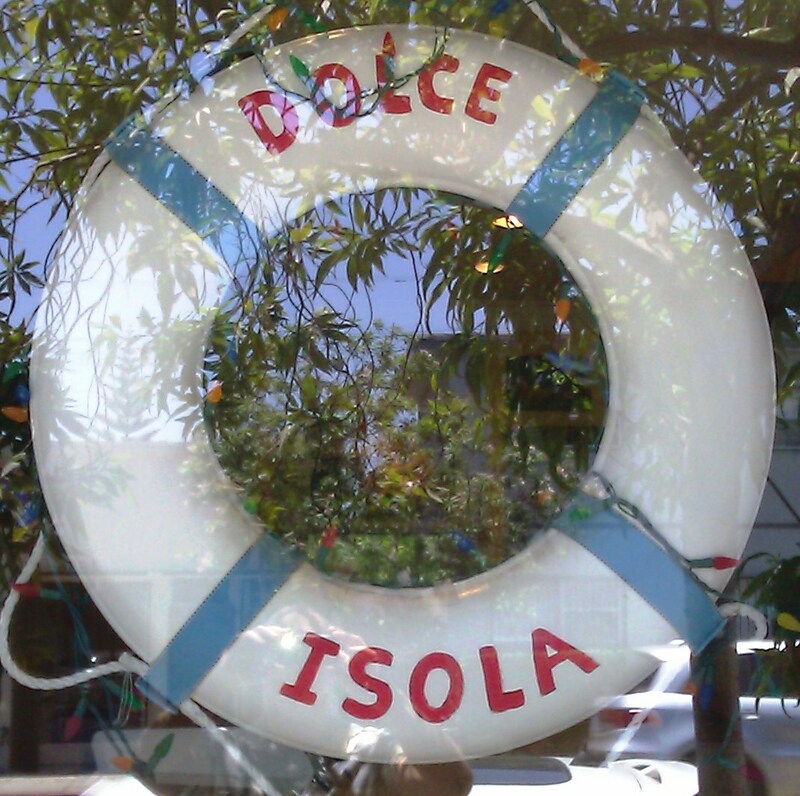 The value at Dolce Isola, in spite of numerous quality control issues, was just fine. I will note that my burger was comped due to the preparation issues. The manager sent us off with a nice bag of cookies, as well. The cookies were delicious. 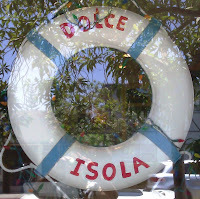 Dolce Isola served up a really, really good burger. High-quality, fresh ingredients were combined to create a terrific cheeseburger. It took two tries, but it was completely worth the wait. The bacon was the cherry on the sundae. Burger Review : Really good beef and generous portions provided at a fair price.